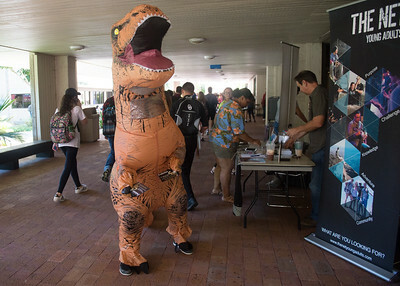 Students (and one T-Rex) with the Net Young Adults student organization engage with passersby in the university breezeway as they pass out information about upcoming events. 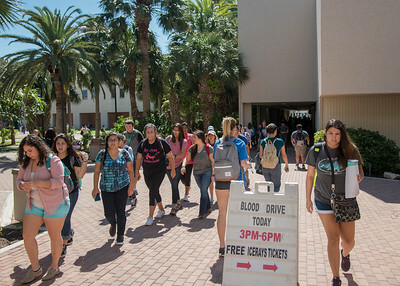 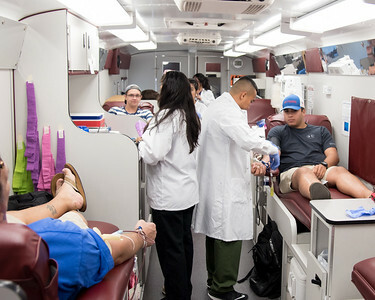 Students give the gift of life during a blood drive held on campus. 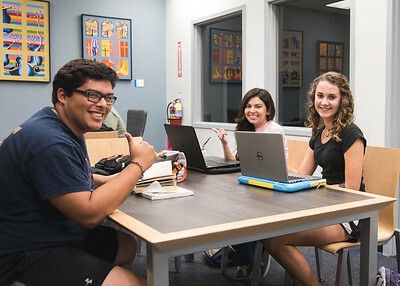 Jacob Zamarron (left), Mikayla Burton (middle), and CeeJay Saenz share their school spirit with our photographers during a study session. Students make their way through the breezeway in between classes. 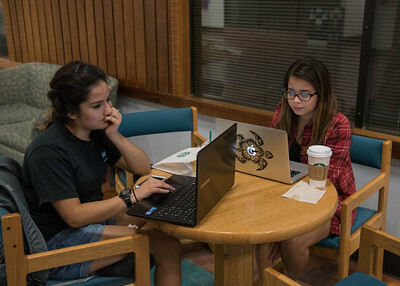 Students Veronica Alviso and Alysa Sauceda work on a group project in the Faculty Center. 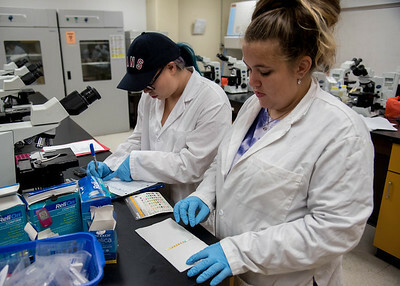 Students Denise Garza and Alysa McBride work on a lab assignment. 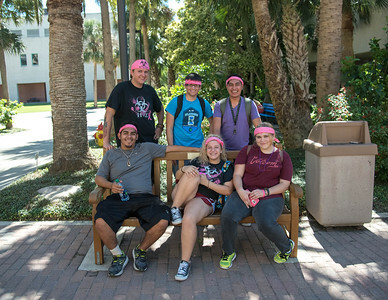 Student playing Humans vs Zombies gather for a photo as they wait outside the Faculty Center. 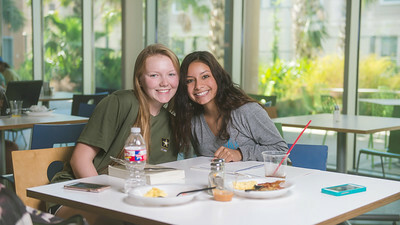 Alyssa Metts and Destiny Arocio smile for a photo while catching up on schoolwork over lunch in the Texas A&M Corpus Christi Islander Dining Hall. 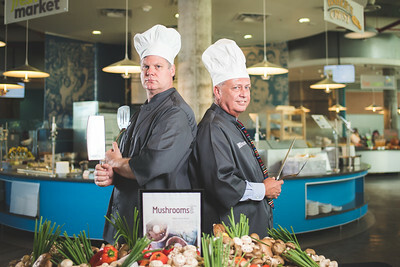 Dean Mark Hartlaub and Dean Pezold pose for photos promoting the Iron Chef: Deans Challenge competition planned for October 20 at 5:30 p.m. in the Islander Dining Hall. 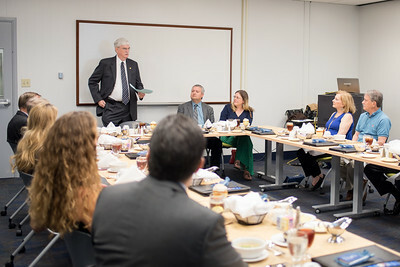 President Flavius Killebrew addresses members of the President's Council during a Lunch & Learn session in the Mary and Jeff Bell Library. 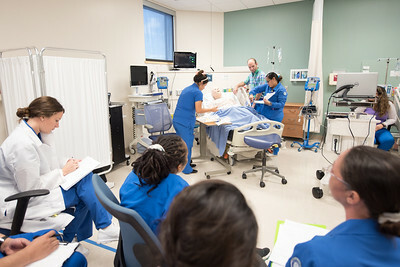 Lorisa Gallardo, Angela Rivera, and Mark Perez work on a professional transitions capstone project while other nursing students observe and take notes. 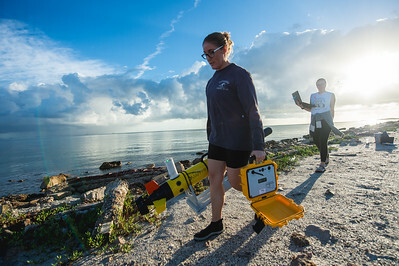 Emily Cira (left) and Jessica Tolan, both research technicians working under the direction of Dr. Wetz, prepare for the release of an ECO Mapper, an autonomous underwater vehicle (AUV) used to survey bodies of water. 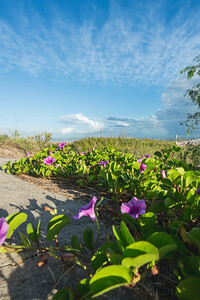 Salt marsh morning glory flowers bathe in the morning sunlight on the University Beach. 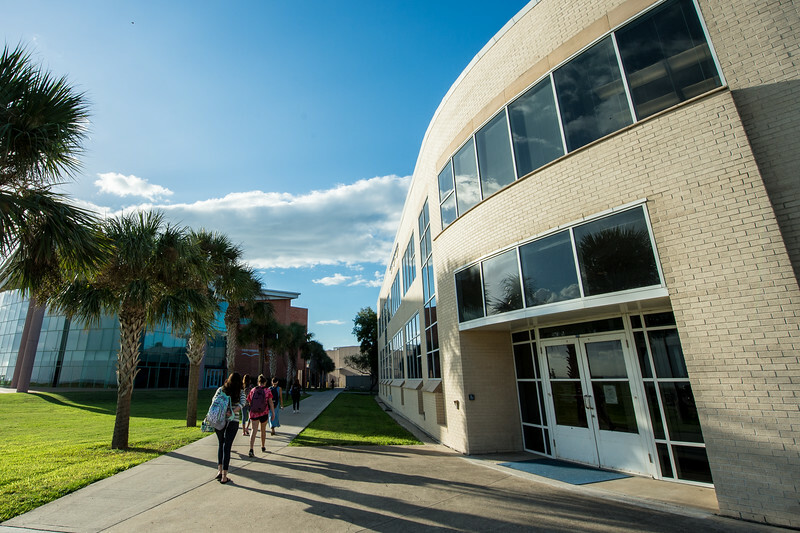 Students start their day by making their way between the University Services Center and the Performing Arts Center.